How do you celebrate the life of the most prominent Civil Rights leader in the country? In 1983, after a massive public push that garnered 6 million petition signatures, Ronald Reagan signed the Dr. Martin Luther King, Jr. Holiday into federal law. Henceforth, many public and private institutions would celebrate Dr. King by taking a day off from work. Yet I’ll be doing the work of a student on MLK Day this year. My school, Reformed Theological Seminary in Jackson, will be hosting a new class that will continue to build upon King’s legacy. The class is called “Hermeneutics for Contextualized Ministry.” If you’re like me, you probably have to read the title a few times to get an idea of what it means. How does our ethnic background affect how we read the Bible? What can modern Christians learn from ancient Christians about race, ethnicity, and culture? How does our culture affect how we read the Bible? Designed to help prepare those who will be doing ministry in African American, multiethnic, or urban contexts, Hermeneutics for Contextualized Ministry will answer these questions and many more. This course is a study of the history of the English bible, the goal of biblical interpretation, the presuppositions involved in interpretation, the means of arriving at the meaning of ancient texts along with present day implications and applications, and the formation of the New Testament canon. The course will also discuss the reality of, the benefits of, and the disadvantages of various Ethno-centric readings of the bible. The professor for the class, Dr. Jarvis Williams, is himself a living realization of Dr. Martin Luther King, Jr.’s dream. 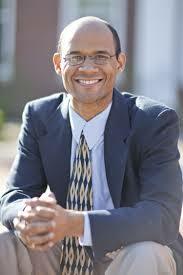 Dr. Williams is bi-racial and born of black and white parents. He grew up in eastern Kentucky in an almost exclusively white community. When he became a Christian he also became the first African American member of his home church. He earned his Masters and PhD degrees from Southern Baptist Theological Seminary (SBTS) which is part of the Southern Baptist Convention (SBC). The SBC is a denomination that broke away from from Northern Baptists in 1845 over the issue of whether slave-holders could be ordained missionaries. Dr. Williams now teaches New Testament at SBTS which is the flagship school of the SBC. Contextualized Hermeneutics is part of the Reformed Theological Seminary’s ongoing efforts to communicate theology in diverse (i.e. non-white, non-middle class) contexts. In 2011, the school’s Board of Directors authorized the creation of the African American Leadership Initiative with two goals in mind: 1) to recruit more African Americans to the seminary and 2) to equip students of any race for African American, multi-ethnic, and urban ministry. AALI has a strong student activities component, but this class is the latest move towards creating an academic concentration related to contextualized ministry. In January of 2014, Dr. Carl F. Ellis, Jr. taught a course called, “Cultural and Historical Realities for Contextualized Ministry.” The plan is to offer a rotation of similar one-week long, intensive format classes each January. Share Your Thoughts: How do you plan to celebrate Dr. Martin Luther King Jr. Day? Executive has produced relevant information and leaflets. causing the joint to become stuck open or closed, resulting in Facet Joint Pain.